"Except for her spouse, the photographer is arguably the most important wedding decision a bride will make. The flowers may be fabulous, the setting may be romantic, the men may be handsome, the women may be beautiful, and the entire gathering may be moved to tears by the proceedings--but your own and your families' memories of the whole celebration will begin to fade even before the flowers do. If you do not have good photographs, those memories and a few souvenirs will be all you have left of the day. For the average couple and their families, the pressures of last minute preparations, guests and emotion have a way of blurring the ceremony and reception. The portrait viewing may be the first chance you have to really see the results of all your planning. The color scheme and details you worked to coordinate, the location that had just the right ambiance, and the family and friends who brought their love and best wishes to share--all of these elements combine to make a spectacle that is hard to appreciate until you can view it as the photographer does." 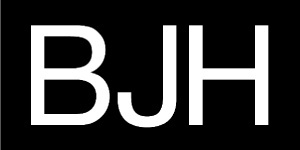 New photographs have been posted at the main site, www.bjhphotos.com!